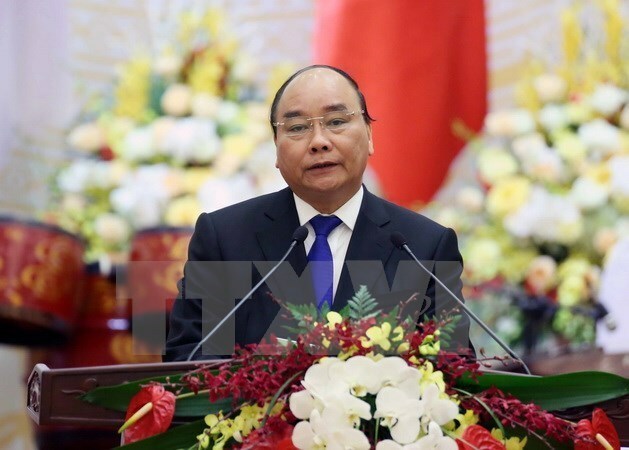 Hanoi (VNA) – A Vietnamese delegation led by Prime Minister Nguyen Xuan Phuc left Hanoi on May 11 morning to attend the World Economic Forum on ASEAN (WEF-ASEAN) in Phnom Penh, Cambodia. The participation is made at the invitation of the Cambodian Prime Minister Samdech Techo Hun Sen and WEF Executive Chairman Klaus Schwab. The WEF-ASEAN 2017 is themed “Youth, Technology and Growth: Securing ASEAN’s Digital and Demographic Dividends”. It will focus on assessing ASEAN’s development and integration and problems the bloc will face in the time ahead. Other issues on the agenda are ASEAN’s position in the new global geopolitical and economic context, the prospect of the ASEAN Economic Community, and impacts of the Fourth Industrial Revolution on ASEAN countries. Vietnam and the WEF began their cooperative relationship in 1989. Since then, the WEF has become an important dialogue forum between Vietnamese Government leaders and the world’s leading enterprises.